A ballot measure to impose a complete ban on alcohol sales in Bethel under the state’s local option law has failed in a close vote, according to unofficial election results. Turnout was big this year, with voters showing up at the polls right up until the last minute. “Oh, it’s absolutely more than last year,” Bethel City Clerk Lori Strickler said, adding that it’s likely been a record-breaking year for voter turnout. According to unofficial election results, 1,056 ballots were cast. Those results show local option failing and Bethel City Council’s Vice Mayor Fred Watson getting the most votes, securing him another two-year seat. A close second for city council was Perry Barr, followed by Carole Jung Jordan and Fritz T. Charles. While the unofficial count shows it not passing, it was still a close call for local option with roughly 53 percent of those who voted voting against it. It may have come down to the type of local option that made it to the ballot. “Under the code there is five different versions of local option, and I do not like the nothing version that we’ve been presented. I do not think that beer and wine sales are the problem; I think it’s hard alcohol sales,” Bethel voter Jon Cochrane said. Cochrane says that the real trouble for Bethel is with liquor sales, and that an “all or nothing” approach with local option doesn’t work. “Personally, I prefer an option where there is more limitations on hard alcohol sales, but where restaurants still have the ability to sell beer and wine,” Cochrane said. Another local option opponent was Jonathan Liberty, who had concerns that it would drive people back to bootleggers. 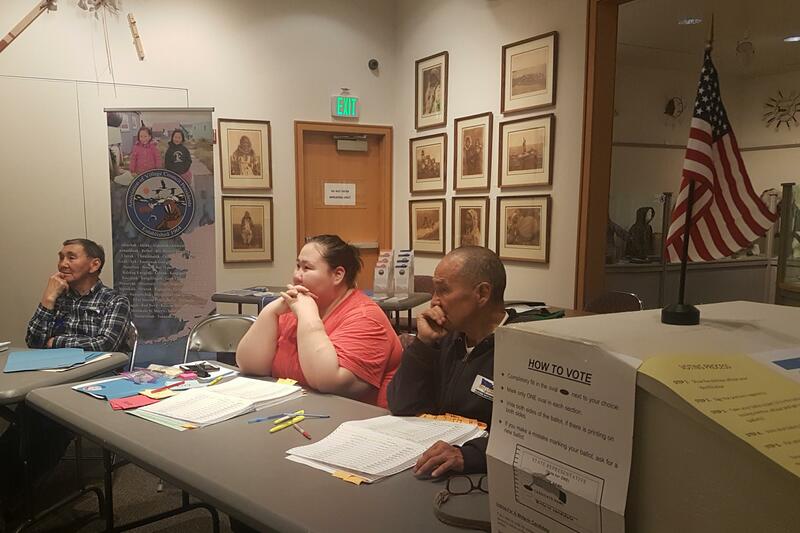 Unofficial results for the Lower Kuskokwim School District Board election show incumbent Deanna Latham holding on to Seat F, and retired LKSD teacher Michael Husa winning Seat G. Kusko Cab reports that more than 100 voters took advantage of the vouchers for free rides to Bethel’s two polling places. There are still questioned ballots to be counted; local election results are due to be certified on Thursday, October 4.